Kristian Clark, private eye, thought his days as a special agent were behind him. But when he’s drafted into action, he finds himself reunited with his old team–and painful memories of why they broke up in the first place. As he plunges into mission after mission–from a “holy heist” to babysitting a young hacker to going undercover in a cult–Kristian find that everything he tried to leave behind is coming back to haunt him with a vengeance, and then some. First there’s the mysterious woman who knows more about Kristian, and his past, than makes sense. She also uses science fiction weapons that don’t make sense, period. Then there are the shady powers-that-be who are responsible for drafting him back into this world to satisfy their own nefarious agendas. 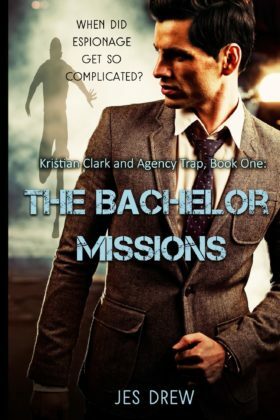 It’s all Kristian can do to keep from being pulled into their games as he tries to figure out who to trust and what to fight for, even as the trap put in place to destroy him is set with a ticking clock.